"This project serves as a successful example of industry academic collaboration supported by the International Barley Hub"
Researchers from the James Hutton Institute and the Scotch Whisky Research Institute (SWRI) have completed a ten-month InnovateUK funded project resulting in the development of an improved genetic marker that can be used by barley breeders to unequivocally identify potential epiheterodendrin (EPH) non-producing barley varieties at the earliest stages of the breeding process. EPH is broken down during malting to form a precursor for ethyl carbamate, a strictly regulated compound in the food and drink industry. 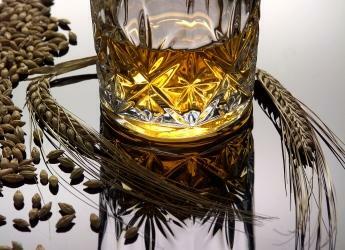 Only EPH non-producing barley varieties are recommended for use in the distilling industry, to ensure minimal levels of ethyl carbamate are produced during the whisky production process. Many historically important malting barley varieties, including Golden Promise, Maris Otter and Optic, are EPH producers. The new marker utilises the KASP™ genotyping platform (LGC Genomics) which will be compatible with barley breeders’ in-house diagnostic technology and has been validated by SWRI against a panel of different barley varieties. It is an update of an EPH marker currently used by the global barley breeding community, which was developed and released by the James Hutton Institute in 2005. Dr Joanne Russell, of the James Hutton Institute, was lead scientist on the project. Dr Russell said: “Development of the new marker will increase the integrity and throughput of testing for EPH in barley for breeders. It is easier to execute, very robust and can also be used on a wider range of germplasm. "In contrast to the old marker, it can identify carriers in the heterozygous form, enabling more efficient screening of material, increasing the potential to identify more varieties from different sources quickly, and thereby saving time, money and space across the industry. "Ultimately, this will result in a greater availability of suitable barley varieties with higher agronomical and processing qualities for malting and distilling." James Brosnan, Director of Research at SWRI, added: “The Scotch Whisky industry values sustainability of its barley supply chain to ensure the continued quality of its products. The EPH KASP™ marker assay is available to purchase from James Hutton Limited. Please contact Jamie Smith, Business Development Manager, for details. James Hutton Limited will also offer a laboratory testing service for EPH using the KASP™ marker, using a two-rep test. To book tests, please contact Vanessa Young.